ORR Builders ORR Builders began construction began in May of 2016 for University Village pads 5 & 6 office buildings, both with one section that is a two-story tower. 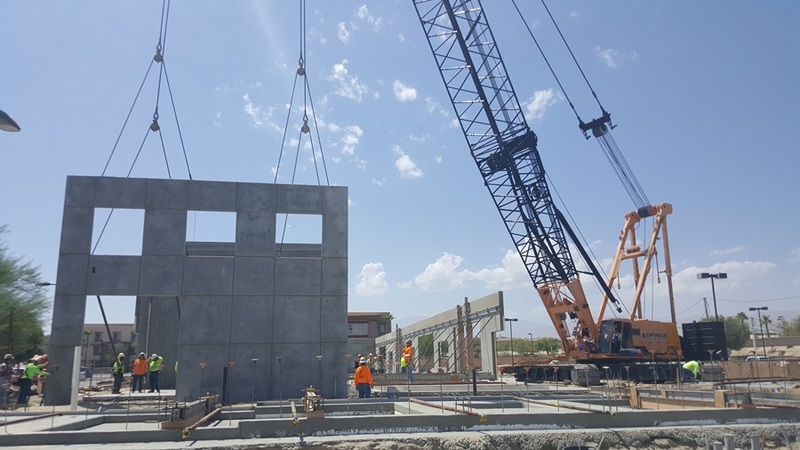 ORR Builders Desert Jet Center has broken ground on the newest fixed base operation (FBO) at the Jacqueline Cochran Regional Airport (KRTM). 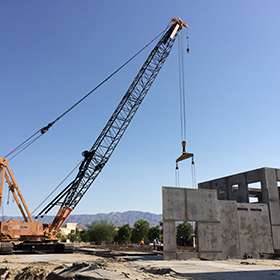 ORR Builders began construction in January 2014 of the Desert Regional Medical Center UCR Health Family Medical Center (DRMC UCR) T.I. project in Palm Springs. The Grand Opening was held June 25, 2014.
Who Says Pigs Can't Fly? ORR Builders began construction in May 2016 for University Village pads 5 & 6 office buildings, both with one section that is a two-story tower. Universtiy Village is an existing office and retail complex with pads 5 & 6 being the last of two of the few remaining parcels to be built out. Structural construction of both buildings is primarily pre-cast concrete tilt-up walls. Building 5 is approximately 13,000 square feet and building 6 is approximately 15,700 square feet. ORR Builders hit a major milestone Monday, August 22, 2016 with raising the concrete walls of building pad 5, the 2nd of these two buildings. Building pad 6 was raised Friday, August 19, 2016. The Building pads and sites are restricted on all sides by existing improvements, buildings and roadways that must be maintained and protected throughout the construction schedule. Neither building footprint was large enough to provide needed square footage for casting of wall panels therefore, casting slabs nor waste slabs were constructed to provide additional casting surface. Due to the limited area with in the construction zone it was necessary to utilize some of the existing parking and roadways as casting areas. ORR protected existing improvements and constructed casting slabs over the top of them. 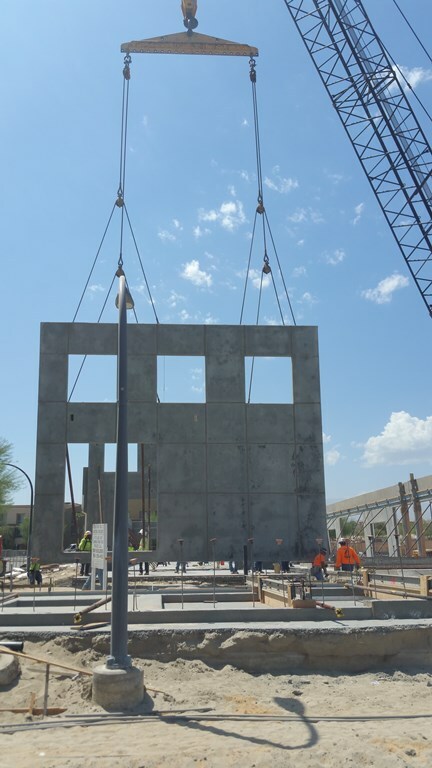 Impact on the business park community, tight site constraints and the amount of exisitng improvements to protect in place were major factors in the crane selection for lifting the pre-cast wall panels. 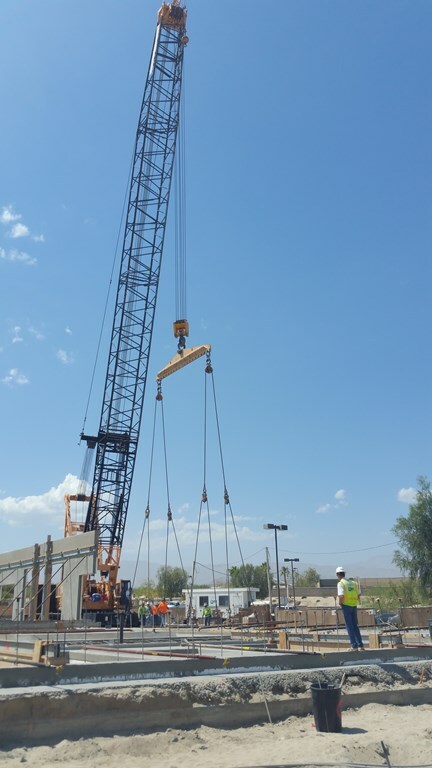 A 300 ton crawler crane requiring 16 semi-trucks for transportation was brought in for the lift. 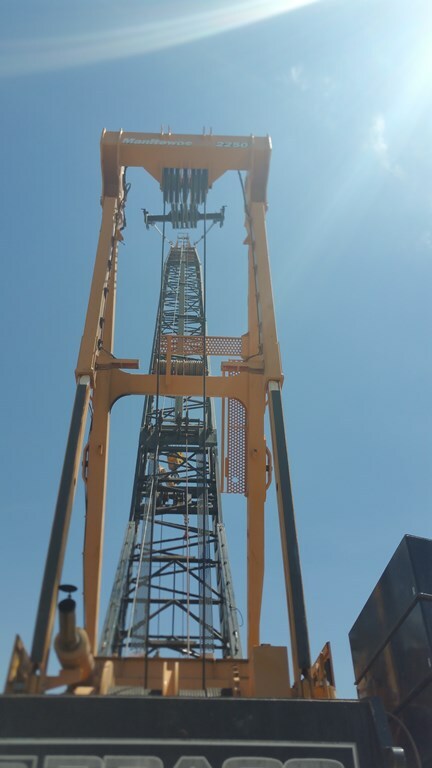 The crawler crane allowed for a much greater spread of the weight loads vs. a traditional rubber crane which was necessary to protect existing underground improvements and paving. Additionally, the substantial reach potential of this crawler provided the opportunity to lift both buildings, in their entirety, from one side of the project, the West side. 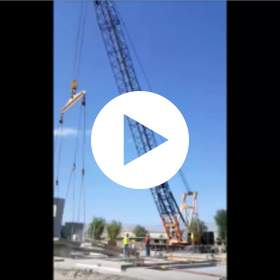 This minimized movement of the crane and distances required to carry panels weighing from 15,000 to 69,000 lbs. 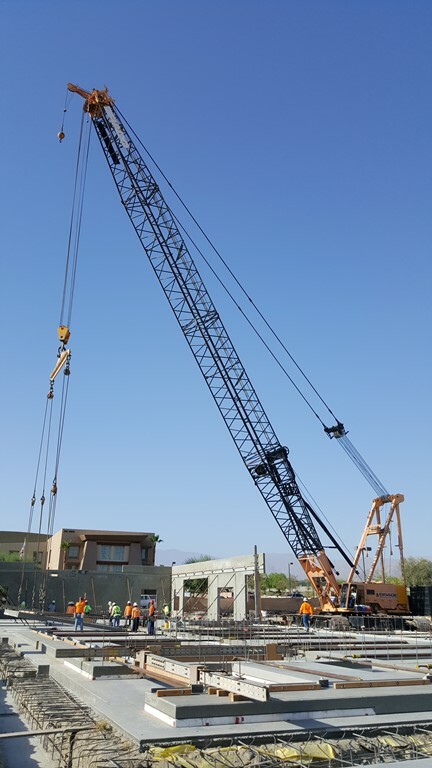 Ultimately, the size and abilities of the crawler crane enabled ORR Builders to prepare and lift both buildings with one crane operation and minimize the amount of time roadways and parking areas would be out of service and thus the overall impact on existing business operations and improvements.